There are niche sustainability players, content to appeal to a healthy-sized segment of the market based on concern for ethics, and then there are mainstream companies. Arguably, Marks and Spencer defines mainstream. It has the mixed blessing of ‘pillar of the establishment’ status. The slightest movement in its quarterly results makes effortless headlines, as does every mistake or mis-step. So it would be understandable if M&S were somewhat cautious in its approach to sustainability - content to stay with the pack, as so many are. You certainly wouldn’t expect it to become a wild-eyed corporate radical. There’s substance, and then there’s style. If anything, over the first ten years of its ‘Plan A’ programme, it has been a radical in terms of the substance of its action, whilst being sober and under-stated in its communication. It knows that there needs to be a complete transformation of its business model if we’re going to live within our needs on a finite planet. But it also knows that it can only be one or two steps ahead of the customer, or else it loses everything. So it’s no great surprise that the early years, and the initial tranche of commitments the company made, was about sorting out the plumbing. Getting the easier wins when it came to some of the products (such as healthier food options), sorting out supply chains, reducing waste and packaging. The early wins, which were not only successful in terms of environmental and social impact, but also in making a healthy contribution to the bottom line, helped to build confidence and ambition. And those were ground-breaking enough when they were launched. A hundred commitments - some of them quite far-reaching. Across the entire business. They got plenty of attention and deservedly so. But then it didn’t stop there. The initial hundred were followed by a further sixty. And then another tranche - each one taking the company further towards its stated aim of becoming the world’s most sustainable retailer (a hard-to-measure goal that has been dropped from more recent communications). In the first ever episode of the Mallen Baker Podcast for Change Makers, director of Plan A and sustainable business, Mike Barry, described the early step by step approach that had to be taken at Marks & Spencer to get it positioned so that it could even contemplate taking on Plan A - and he also spoke about where it has gotten to now. Play the interview below (and if you like it, subscribe to the podcast). The latest iteration of Plan A, with a target date of 2025, was launched recently. It now frames its ambition in terms of very concrete and quantified impact, and an enhanced focus on customers. Big picture, it aims to: help 10 million people lead happier, healthier lives; support 1,000 communities; and convert M&S into a zero-waste business. It’s an enormous challenge to sign up to, particularly at a time when the high-street retailer - in common with so many of its peers - is under real pressure to keep its financial performance tight. As a leader, you must always have the fear that if you become famous for action on sustainability, then every time when the short-term figures are not as good as they could be, certain commentators and investors will ask “are they taking the eye off the ball?” The question exposes the lack of understanding of the questioner as to the nature of the ball in question - but that is no guarantee that such pressures can’t have an impact. Ultimately, of course, it comes down to the product. Marks and Spencer does well when it produces food that people want to eat, and clothes that people - particularly women - want to wear. Having the most sustainable business in the world is no defence if you fail to do that. In the interview above, Mike Barry highlights that fact very elegantly when he describes how he moved from going into colleagues offices and asking how they could help Plan A, to understanding that the real question was ‘How can Plan A (e.g. sustainability) help them to achieve their commercial goals? If there are lots of different potential ways to be sustainable, the route that works best for the business is the one you need to find. Too many sustainability practitioners or campaigners fail to make that connection. Now he credits a lot of their success to the fact that they have only a small central Plan A team, but they have solid and active commitment from people across the business. 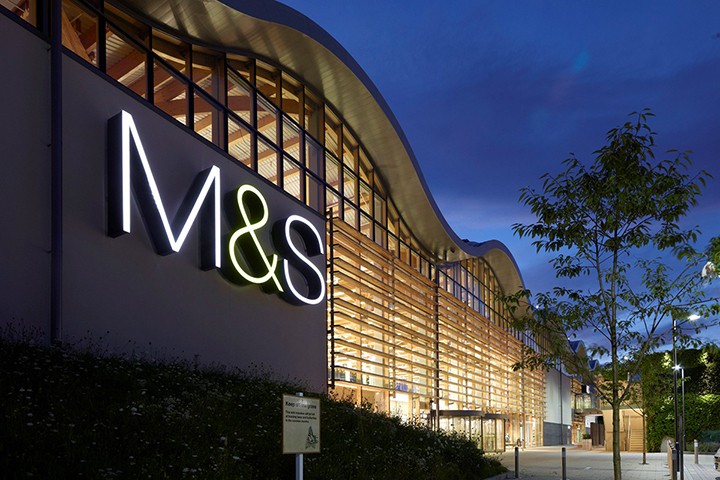 Can Marks and Spencer maintain its position as a success story into the future? Doing that over a decade is hard. And there’s no reason to think it gets any easier to do it over the second decade. But if you meet Mike Barry and some of the top people he’s brought into his team, and you see the focus and commitment they have, the wealth of experience they’ve built up as to what works and yet still the courage to try new things - you would have to bet on that run of success continuing for quite some time yet.